This festive season for me is all about the festive skirt. A bit of bling (preferably with an elasticated waist) worn with a comfy jumper or sweatshirt on top. I want to feel festive, sparkly and comfy all at the same time. Is that possible? I think so. 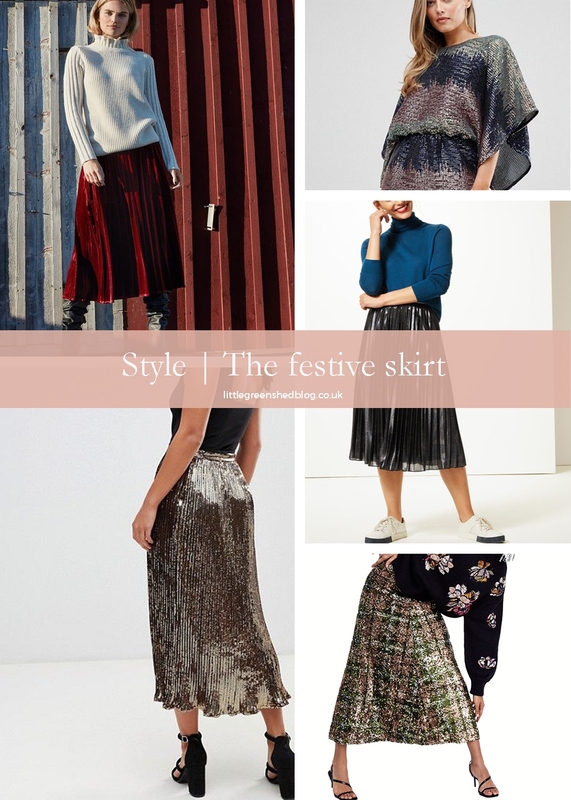 Enter the festive skirt….. tulle, sequin, lace, net, velvet – all. Add a cashmere jumper or a plain sweatshirt, a pair of tights, and some ankle boots or dare I say it ……. slippers and we are good to go. There are so many beautiful skirts out there on the high street, that you don’t need to spend a fortune on. Here are some of my favourites. Not a dress, I know! 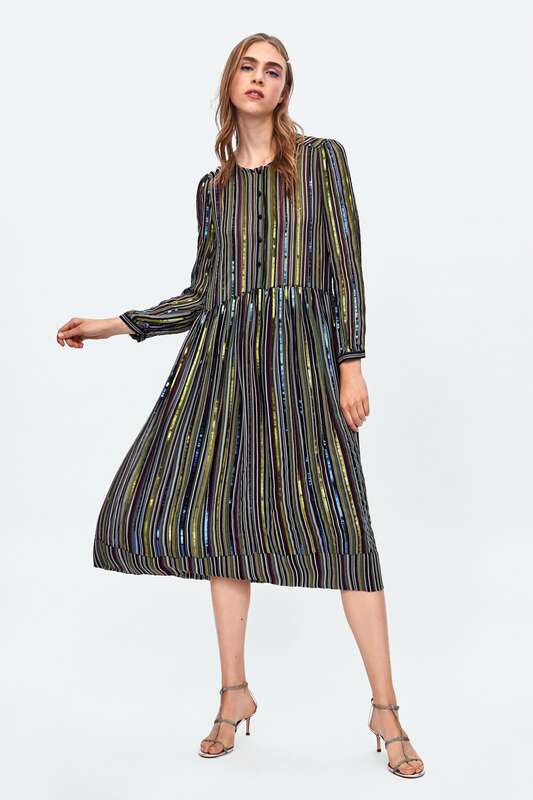 But imagine this teamed with an emerald green cashmere jumper over the top, some tights and trainers or ankle boots. This would be my perfect Christmas outfit! It’s on my wish list! Here are some more of my favourites – now, when are we going out for a drink? Festive sherry anyone? Collaboration Note: This post contains affiliate links of which I make a small amount of commission. Thank you for supporting the posts that make this blog possible.